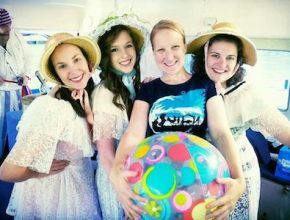 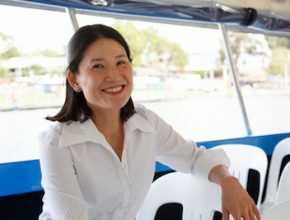 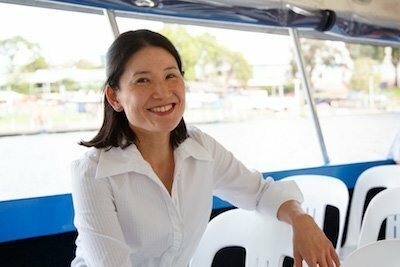 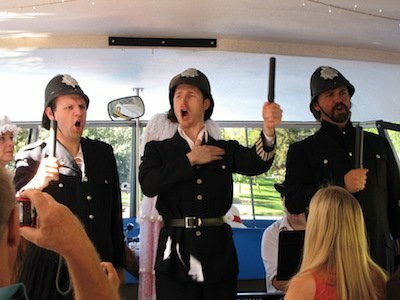 We’re on a boat, in a shearing shed, in pools in music halls, schools & retirement homes! 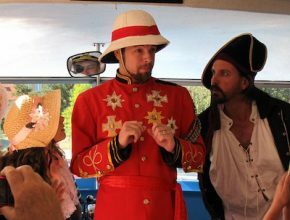 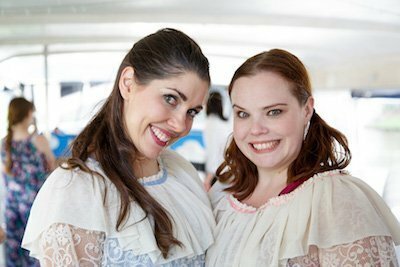 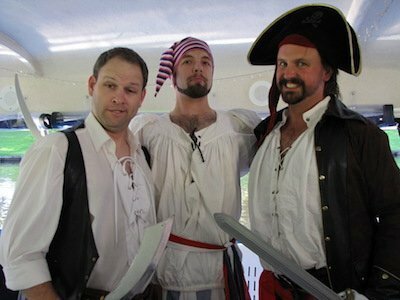 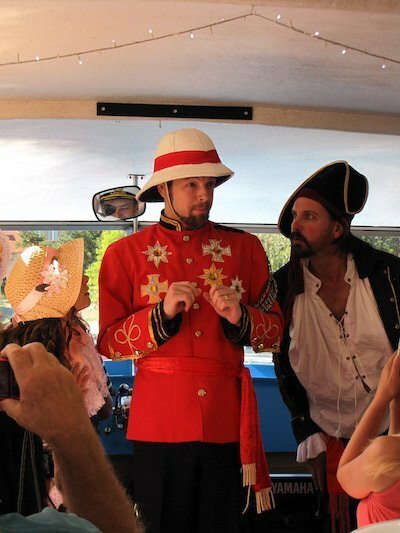 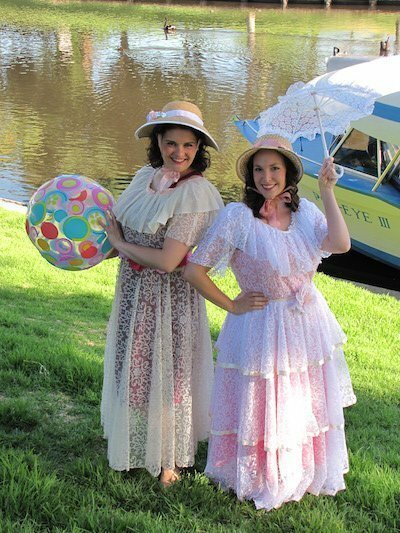 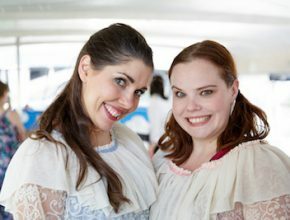 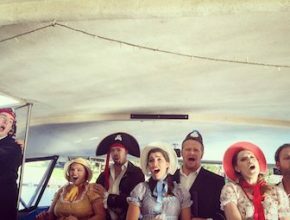 Many of you will have seen Pirates of Penzance…but how many of you have seen it on a boat…on a moving boat! 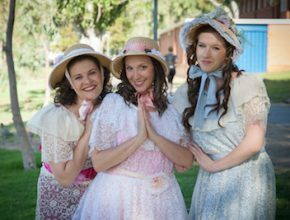 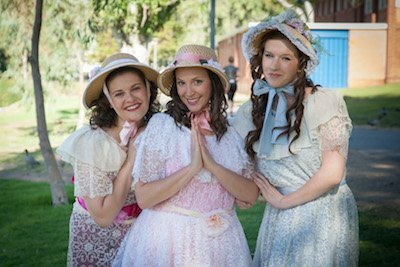 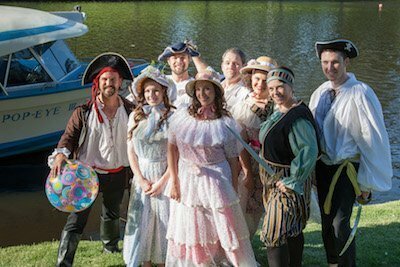 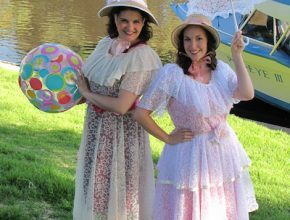 This wonderfully funny adaptation of Gilbert and Sullivan’s classic operetta is staged in one hour, with a local South Australian cast of only eight and live piano accompaniment. 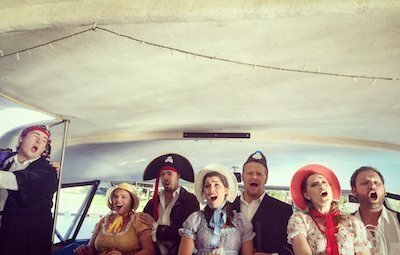 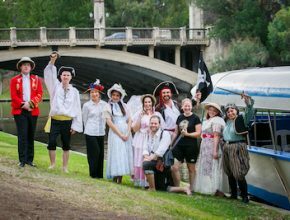 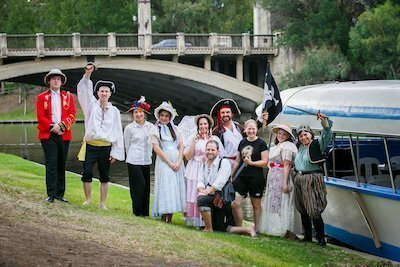 This immersive experience is set aboard boats across South Australia as well as in music halls, shearing sheds, schools and pretty much anywhere we fit! 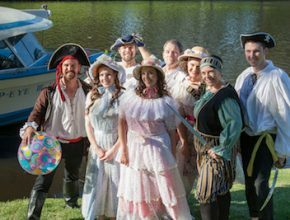 This production is available for private bookings on or off a boat and has had sell-out Adelaide Fringe Festival seasons in 2014, 2015, 2016, 2017, 2018 & 2019! 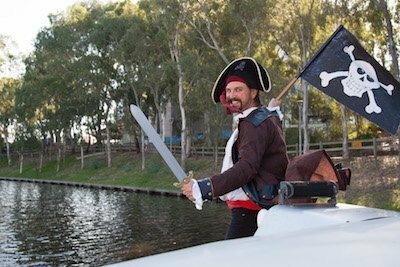 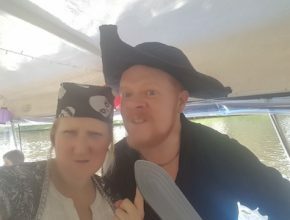 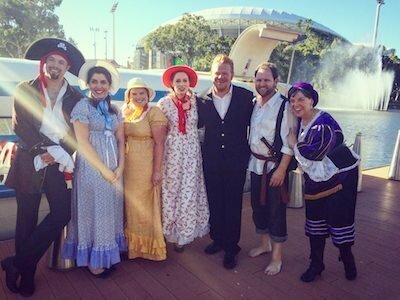 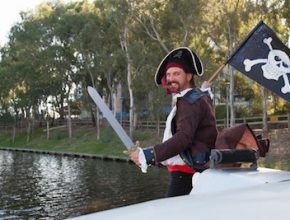 It has been a part of the Pirates of Port Adelaide Festival, toured to Keith, been performed at Hortas with a special seafood meal, been performed in a pool with a blowup Flamingo, as well as sold out for retirement homes, Probus groups and music clubs. 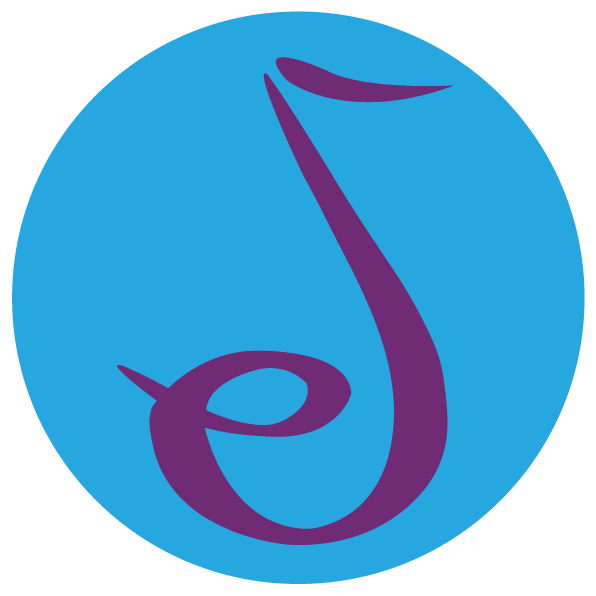 Get in touch with us if you would like to know more!